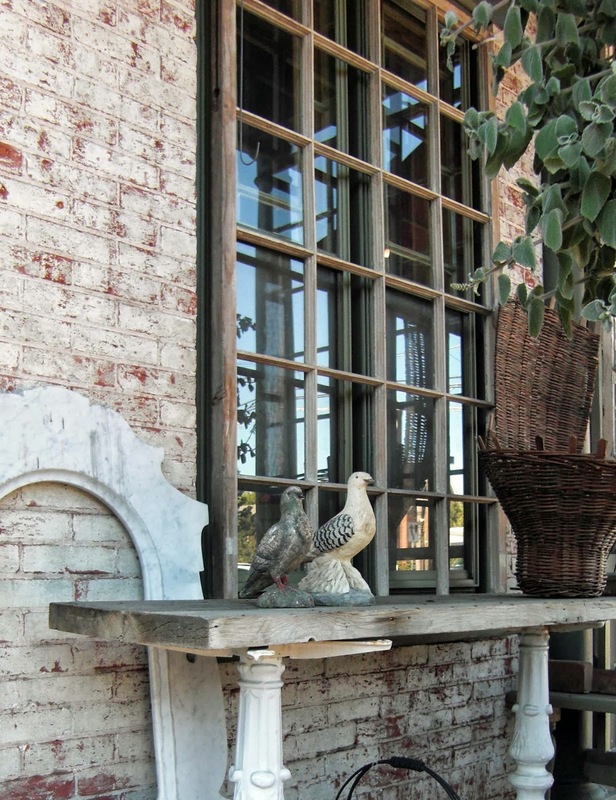 Two plaster doves watched the world go by. They were part of a tableau near the side door of an antiques shop. There are a lot of whites and almost-white in this photo. I've always been drawn to this pale, near-neutral palette. It is calming, but its emotional tone is optimistic. Minimal color shifts the focus onto the textures: stone, weathered brick and shiny glass. The birds sit silently and watch, part of a small, calm world.